Most startup and other business owners already understand that data can improve their bottom dollar, but many still have no idea how data can help them – or how they can afford data insights. Many data solutions on the market, perhaps assuming that everyone understands how data can help them, don’t bother to explain exactly how their service works. Which is a huge mistake. 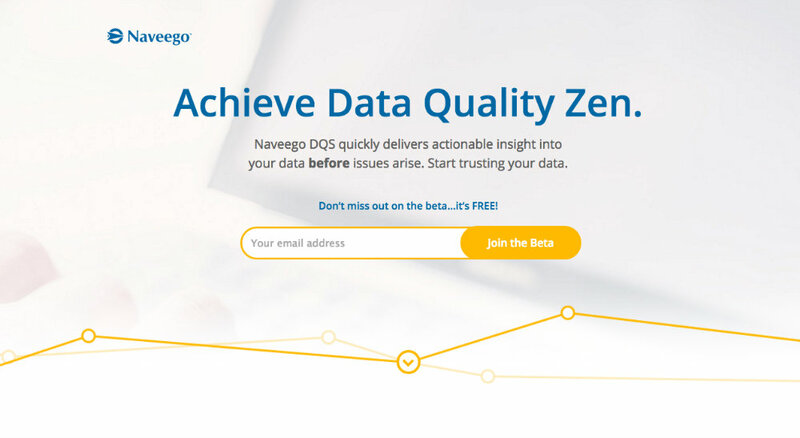 Naveego, a data quality solution, doesn’t make that mistake. For starters, they give two very clear examples of how improved quality control can increase profits. One, they can find inventory items that are on sale but don’t have a sales price. Hello, no one is buying your item on invisible sale. Two, they find deals that have closed but have never generated any revenue. Still going to devote your time there? Of course not. You’ll focus your energy where there is money to be made (unless of course an obvious remedy is easy to implement). Those are just two concrete mentions on the Naveego website that jump out. They actually detail several ways that their product can make your life better. They spot trends that let you capitalize on what’s working, or correct what’s headed in the wrong direction. Likewise, automated data checks spot problems before they are problems. Setting up easy rules, as well as automated responses, further prevent wasting time on fixing repeat issues. Goodbye inscrutable spreadsheets. Goodbye additional infrastructure and staff needed to manage data. Naveego is built to scale along with your business and produce insights with minimal effort or maintenance. Solid data helps everyone from analysts to developers, programmers to managers and engineers do their jobs more effectively. What’s more, your data is kept safe, encrypted and hosted in Naveego’s state of the art data centers. Tired of problems slipping through the cracks? Want actionable insights into your business at a reasonable price? Stay on top of issues and learn how to operate your business better with automated, data quality control from Naveego. Learn more about how the company can close your data loopholes at dqs.naveego.com.